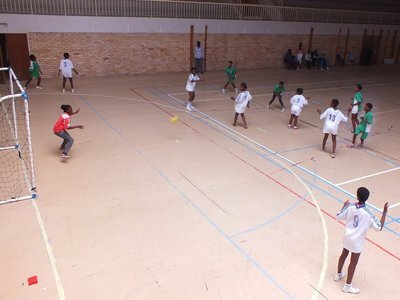 We organised a handball tournament in Grahamstown. It was hot and well attended, but our team didn't do as well as in earlier tournaments. 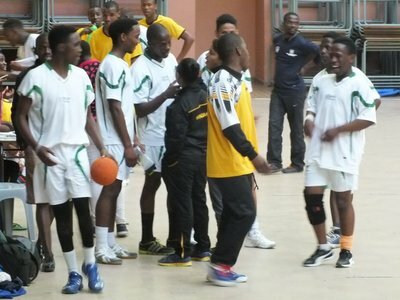 During this year our boys team was short of players. We found some players in Alexandria and Grahamstown who were willing to help us out at competitions. These strong players, who are also experienced coaches, didn't have their own teams and asked if they could join us. 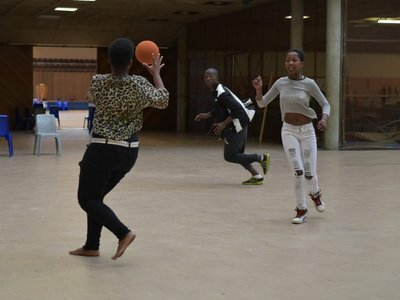 This triggered a discussion if we should allow youth not from our township to become members. 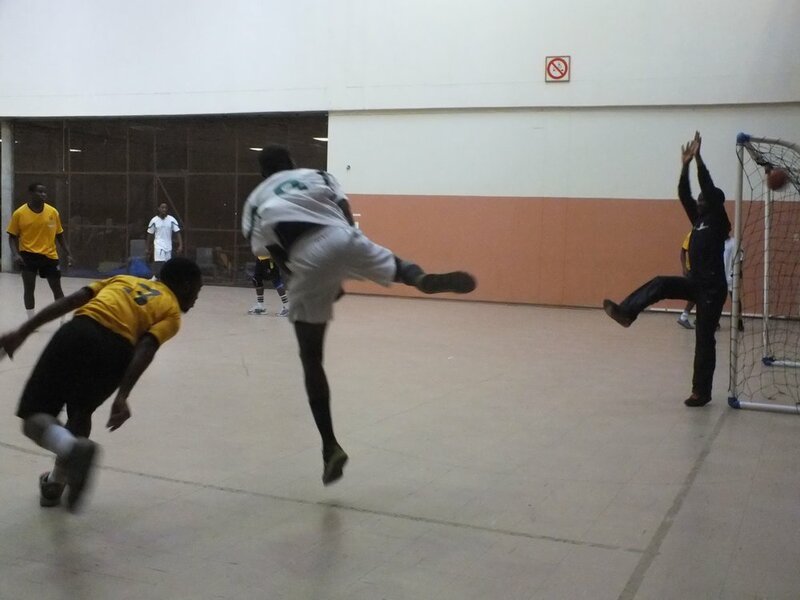 our conclusion was that if there is mutual benefit, we should offer membership, as we did to these handball players. 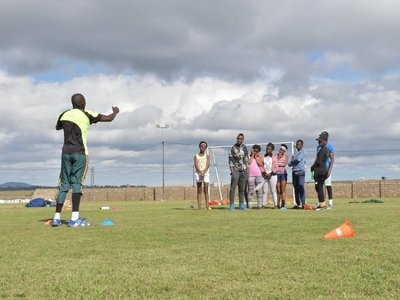 We try to have a double training session for the whole team once a week, either in Port Alfred or Grahamstown. 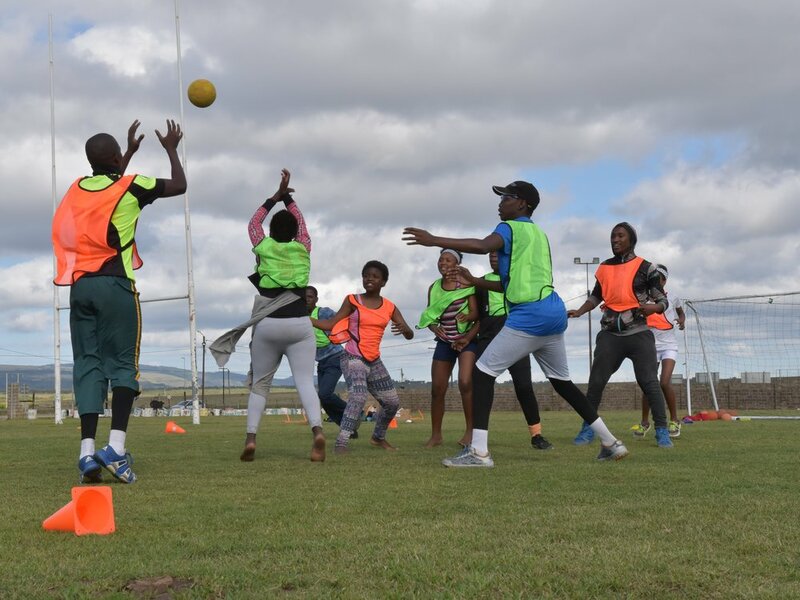 Here you see pictures of our first session in Grahamstown. 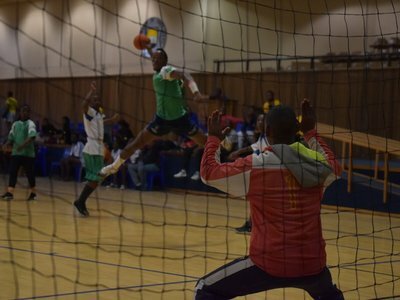 There was another handball tournament at Fort Hare. We went with our strong boys team, that is a mix of handball players who are in our youth empowerment programme and some experienced players from outside who have joined the team. The team has become fast and furious and hard to beat. They won their second tournament in a row. For the first time in a long time we also had a girls team, eight committed but inexperienced members. They still lack fire power to impress, but it's great to have girls competing. 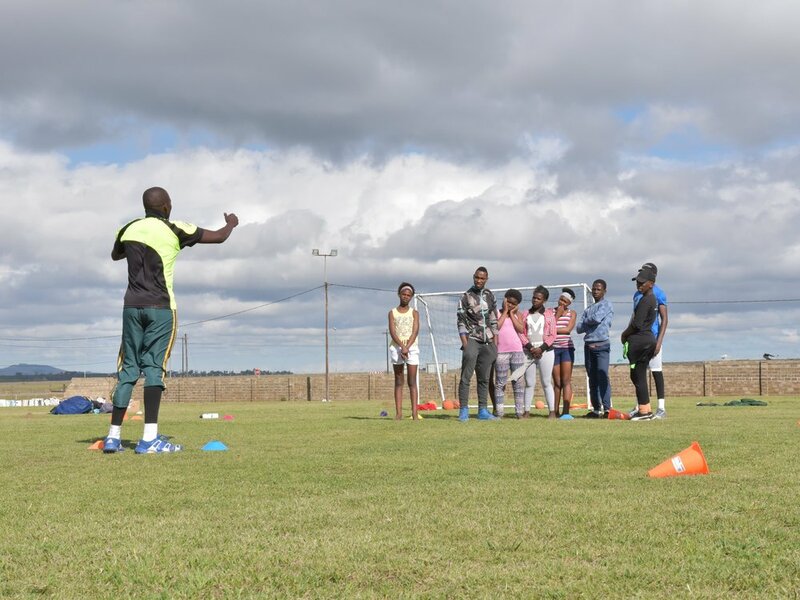 They also had a training session by coach Masande. Time and practice will bring them success. 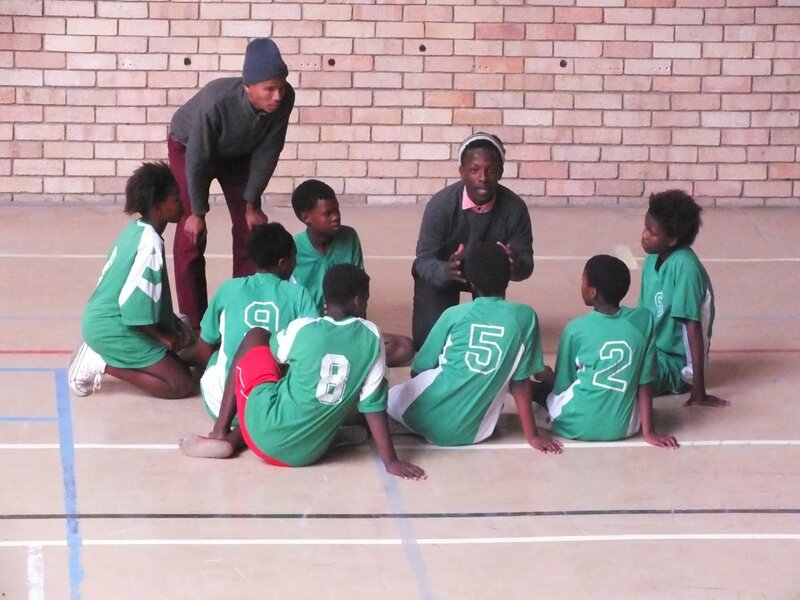 This tournament was in Alice at the University of Fort Hare, the place where Mandela studied. The event, called the Ekasi Tournament, was organised by the university and had a wide range of different sports. It was the first time we played in this event and we played against the University of Fort Hare and Fort Beaufort City. 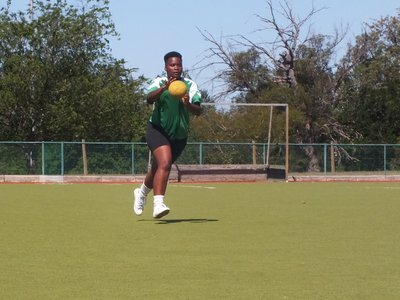 Our team had told themselves at the training sessions that they were not training hard to lose. 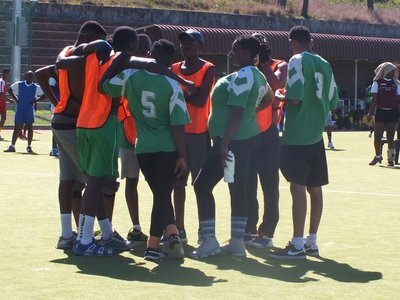 It went very well and especially in the second match, the team was unstoppable. For the first time ever our handball team won a tournament! After a long time of poor attendance, at last we had a team with good attendance and we went to Fort Beaufort to play matches. 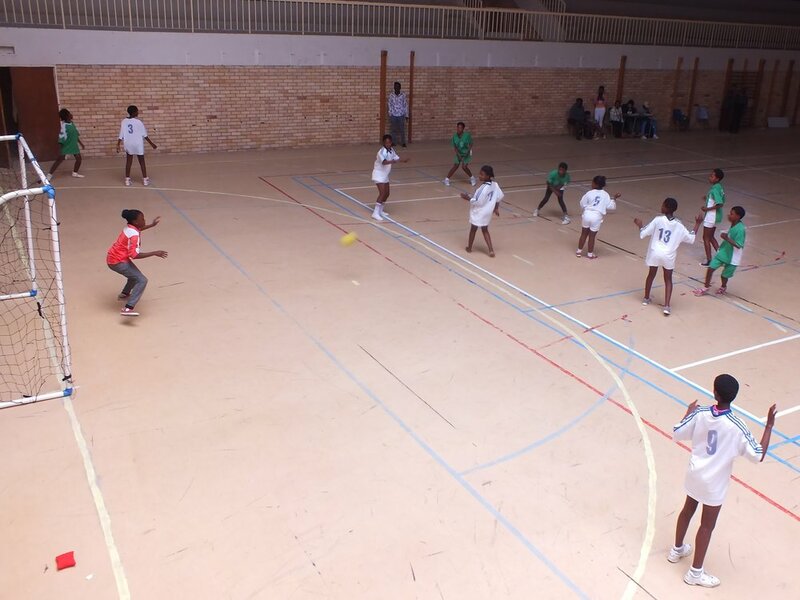 Our girls team, with all new players, delivered a nice surprised with a draw in their very first match. Our two boys got an opportunity to play by joining another team. It was a nice drive too, but slow, with monkeys, baboons, warthogs and a kudu on the road.